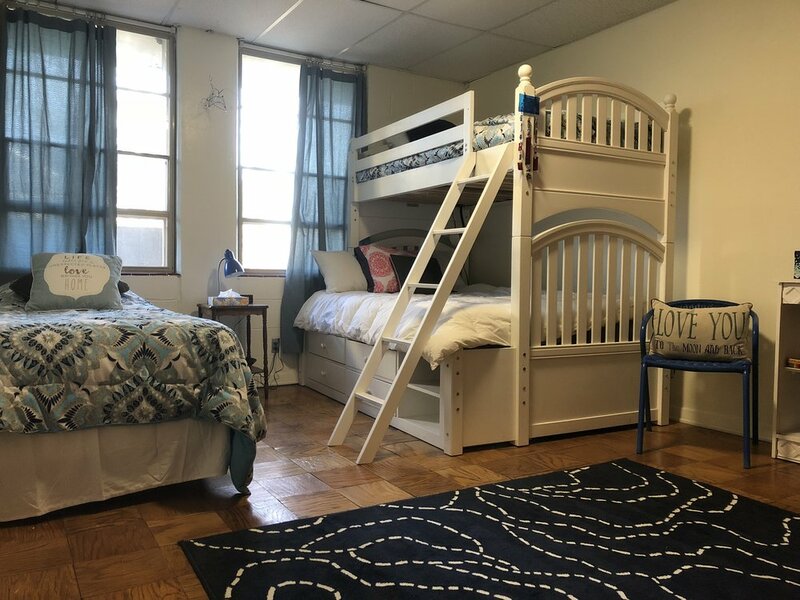 Stay at our cozy home away from home hostel and dorm style apartments at the ECM! We are convientently located on KU's campus, .2 miles from the Union and less than 5 minutes from downtown Lawrence. Find a room that suits your needs and follow the link to AirBNB's website. Please contact us with any questions. To book the entire downstairs for events, please let us know at least 3 months in advance.